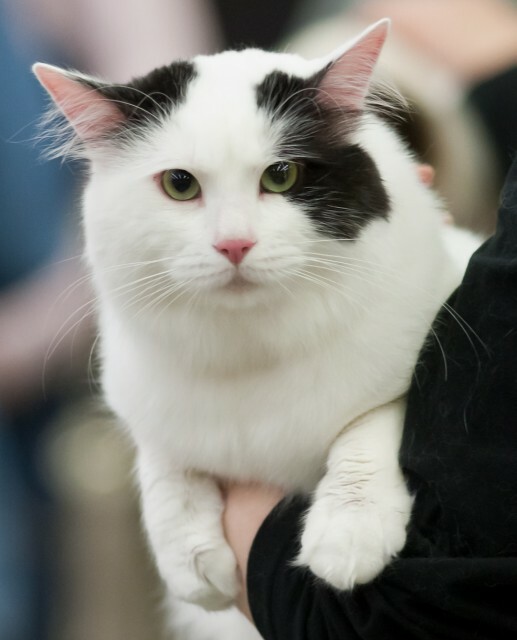 Bicolour cats get their white fur from the piebald (white spotting) gene, which adds varying amounts of white to an otherwise black coat. Although it’s not known for sure why the piebald gene more often produces white fur on the underside (chest and belly) and paws rather than the back, it has been theorized that the piebald gene disrupts the migration of melanoblasts (which trigger colour production). Melanoblasts are released from the neural crest area of the embryo and migrate around the developing body. The piebald gene (and other genes that modify its expression) interfere with this process, so melanoblasts may not reach certain destinations by the time the skin has developed, leaving some patches of skin without any colour. 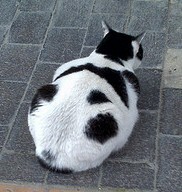 Since the paws, belly and chest of the cat are farther from the neural crest, they are the areas most likely to be left white. However, there are critics of this theory, and alternative theories have been developed, including selective die-out of colour cells after they have reached certain destinations and biochemical signals that turn colour cells off in some areas. 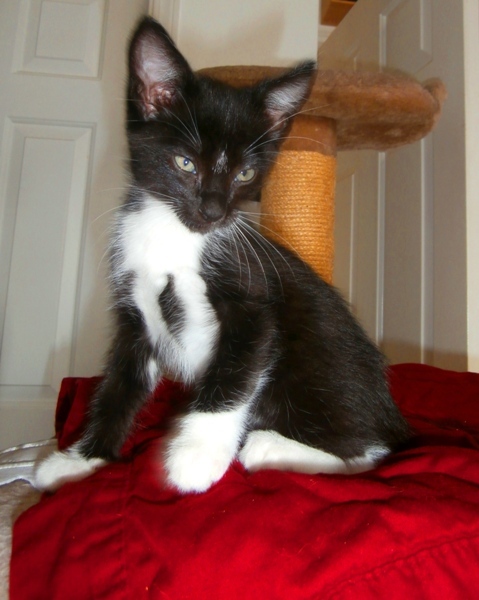 Is there a bicolour or tuxedo cat personality? 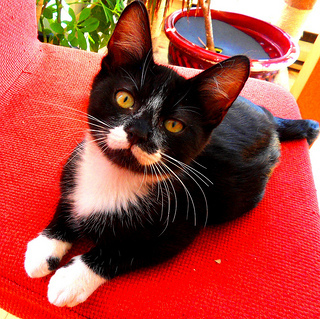 While studies have suggested that black cats tend to be particularly good-natured, bicolour cats have rarely been studied individually, although there was one notable Bavarian study which found that black and white felines were more likely to wander far from home than cats of other coat types (Hartwell, 2010). There are also a number of famous fictional black and white cats, including the cartoon cats Sylvester and Fritz, and Dr. Seuss’s Cat in the Hat. 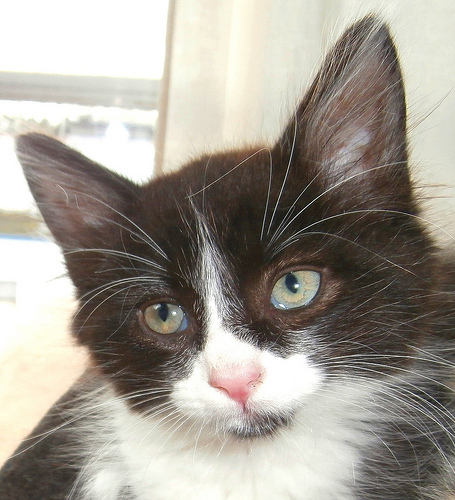 A popular and controversial website, Cats That Look Like Hitler, features photos of bicolour cats whose markings cause them to resemble Adolf Hitler. 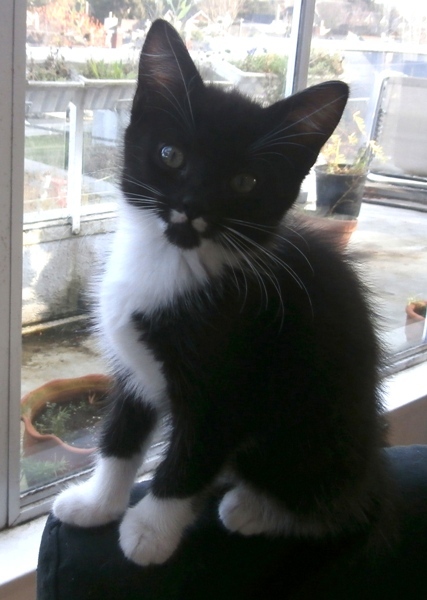 The majority of these cats are black and whites with facial features such as a black “moustache” set in a white face or nose area. The site is loved by many, but hated by more than a few, and has pages featuring both fan mail and hate mail. It’s worth noting that the site is not meant to glorify Hitler, but rather, to mock him. 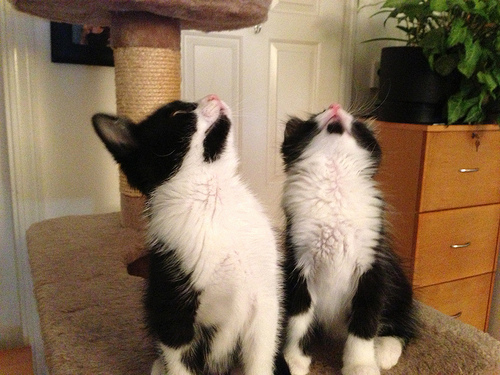 Owners of “Kitlers” are invited to send in their photos to be featured on the site. Associated Press. (29 March 2006). 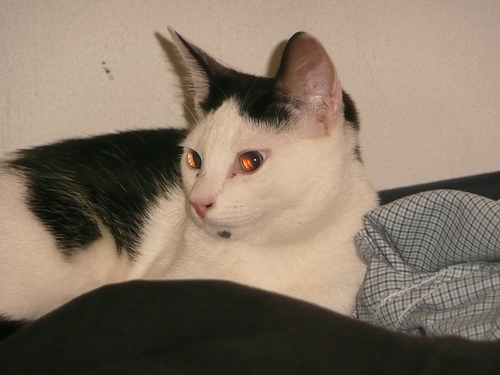 “Psycho Kitty Terrorizes Connecticut Neighbors.” MSNBC.MSN.com. BBC News. (1 November 2007). “Wartime Hero Cat Simon Remembered.” News.BBC.co.uk. Hartwell, S. (2010). 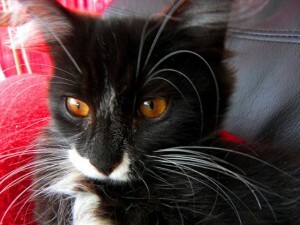 “Beautiful Bicolours – Tuxedo and Magpie Cats” and “Is Coat Colour Linked to Temperament?” MessyBeast.com. Huidekoper, R.S. (1895). The Cat: A Guide to the Classification and Varieties of Cats and a Short Treatise upon Their Cares, Diseases, and Treatment. Chestofbooks.com. Shelton, L., Featherland Cattery. (30 January 2001). “The Pigment Parade.” Home.Earthlink.net/~Featherland. Stall, S. (2007). 100 Cats Who Changed Civilization. Philadelphia, PA: Quirk Books.